We’re only a couple of weeks away from the Paris Motor Show, which means teaser time! Today’s entry—just in time for National Drive Electric Week—is a 2016 Ford C-Max teaser that hints at what the next generation of Ford’s hybrid/plug-in hybrid will look like. 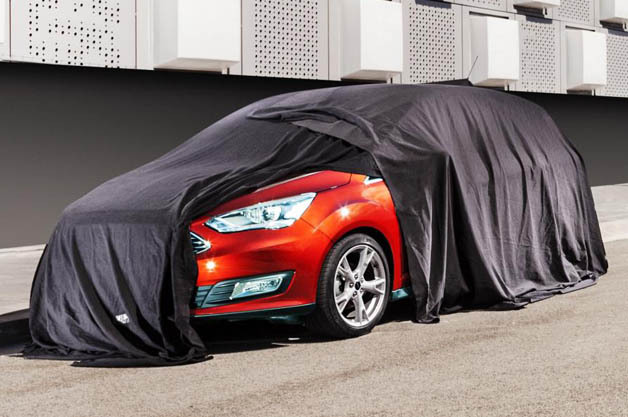 According to Ford, the 2016 C-Max will get something like an “extreme makeover,” and the little that is revealed beneath the cover would agree. It appears that the new C-Max will have sharper headlights, larger fog lights, a chrome-trimmed trapezoidal grille, and a restyled lower grille. Naturally, there isn’t much to work with in the 2016 Ford C-Max teaser (which is why they call it, ya know, a teaser), but the more that Ford can do to make the next-gen C-Max more aesthetically appealing to US drivers, the better chance it will have of stealing sales away from competitors such as the Prius. While the current-gen C-Max has been well-received for its combination of fuel economy and utility, it has never been accused of being a real looker. While not as unconventional or homely as other hybrid offerings, it carries a very matter-of-fact styling that doesn’t do much to draw eyes to it. 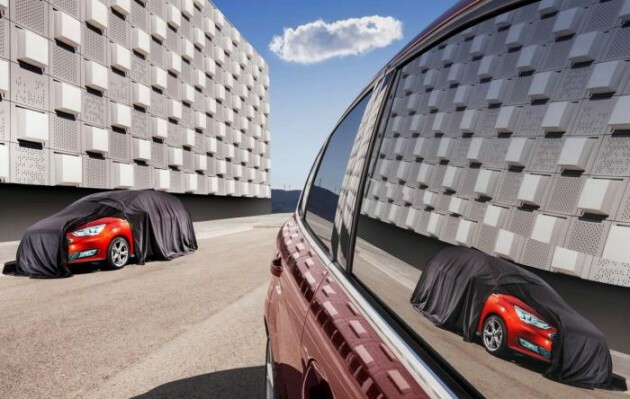 If the 2016 Ford C-Max teaser is any kind of indication, that could be changing very soon. Check back in with us on Wednesday for all the latest news on the new C-Max, and stay tuned for our coverage of the Paris Motor Show!